The origins of London bus preservation go back to 1929 when the London General Omnibus Company assembled a few of its early motorbuses to take part in a celebration of 100 years of London bus operation. Following the success of that centenary parade, those early buses were kept aside in the works for similar future use. After the formation of London Transport, further examples were added to this “commemorative fleet” which eventually formed part of the British Transport Commission’s Museum of British Transport at Clapham and subsequently metamorphosed into the bus section of today’s London Transport Museum. The first known attempt at private preservation of a London bus was after the Second World War when the Omnibus Society considered the purchase from London Transport of a 6-wheeler AEC LT-type double-decker but negotiations were abortive. A further attempt at private preservation was made in 1952 by the late Prince Marshall, then aged 15, who tried to purchase a Leyland CR-type single-decker from LT but for whom the £250 asking price was too much. Undeterred, he then formed a consortium with six others to acquire from LT one of the last surviving ex-LGOC double-deckers, an STL-type, but the group only managed to raise £93 towards the £100 asking-price so, once again, the attempt was unsuccessful. In 1956, progress was finally made, with the acquisition from LT by a group of individuals, including some from the previous consortium, of 1929 AEC single-decker T31, by then the last survivor of buses inherited by London Transport upon its formation in 1933. It is acknowledged that this was the moment when private preservation of buses in the UK began. Today, that bus – T31 – is fully restored to original 1929 condition and is part of our Collection. In 1958, the first rally of historic commercial vehicles was held at Beaulieu and in 1961, the first London to Brighton Historic Commercial Vehicle Run was organised, an event which continues to this day. By 1970, there were over 50 London buses in preservation (you can see that early list here) and today there are reckoned to be over 5,000 buses preserved in the UK, both privately and in a large number of museums throughout the country. By the mid-1960s, there were a handful of London buses in private preservation and a number of their owners came together in 1966 to form the London Bus Preservation Group. The objectives of the Group were to co-ordinate efforts, to pool resources and knowledge, accumulate spare parts and present a united and reputable face of the movement towards London Transport. 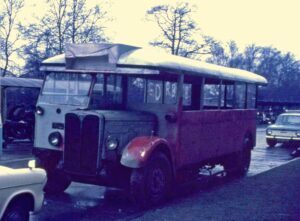 One of the biggest problems at that time for private bus-owners was the finding of secure, covered accommodation for buses. Many early preserved buses were kept in fields and yards where their already poor condition would deteriorate further. 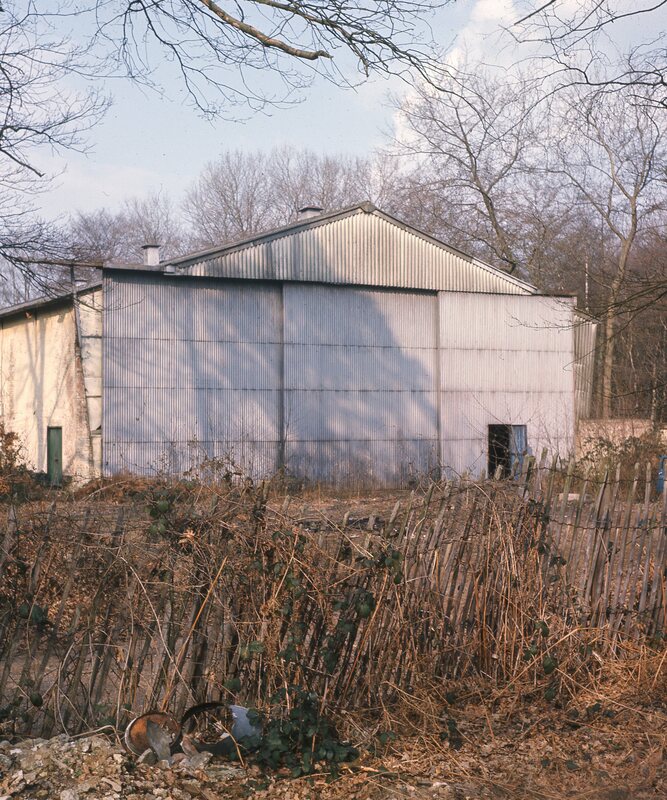 A solution to this issue was finally found by the Group in 1972 with the acquisition of a former Second World War aircraft factory in Redhill Road, Cobham. 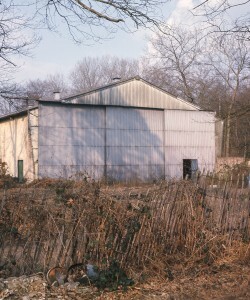 Members of the Group raised the money, £14,000 repayable over 8 years, to purchase the former factory, which had been erected as one of four “temporary” out-stations of the Vickers factory at Brooklands, intended to move some development and production away from the main factory which was vulnerable to Luftwaffe bombing. It is believed that the building had been used during the War by Barnes Wallis in connection with the development of the “bouncing bomb” subsequently used to destroy German dams. 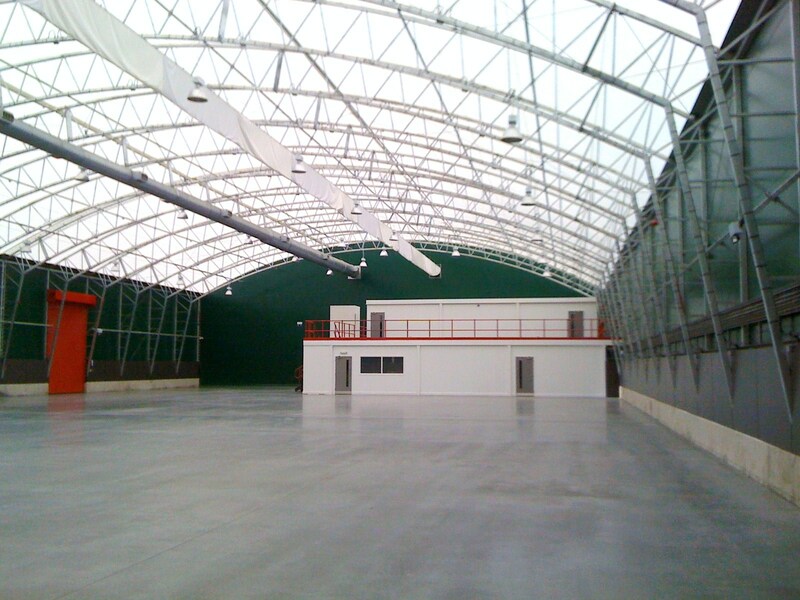 Over the next few years, the Group worked hard to turn the near-derelect building into a storage facility and workshop for some 35 buses. 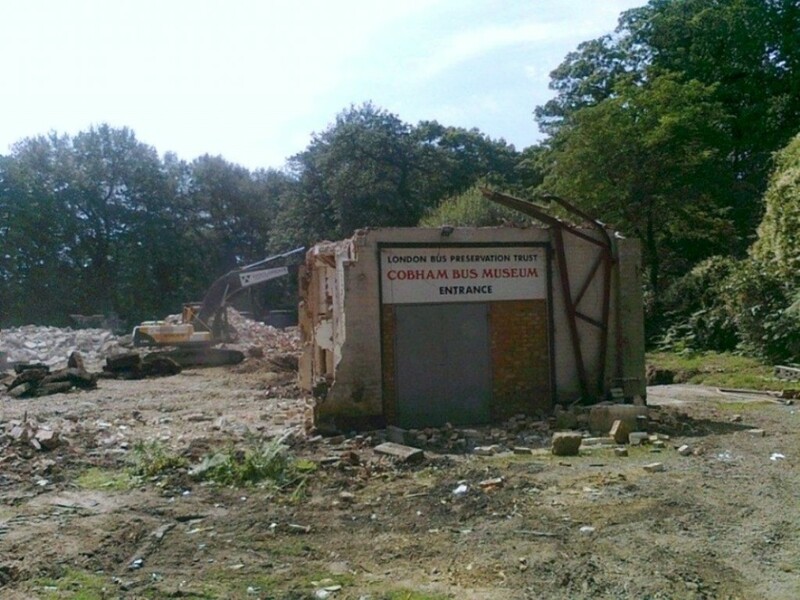 In 1974, by then called Cobham Bus Museum, the Group held their first Open Day, an event which has been held annually, with increasing popularity, ever since and is now known as the Spring Bus & Coach Gathering. 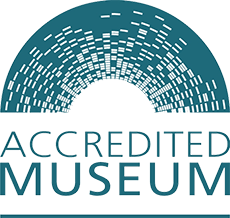 In 1986, the Museum trust became a Registered Charity and in 1997, a Registered Museum. During that time, it acquired a number of significant, historic London buses and completed several high-quality restorations. 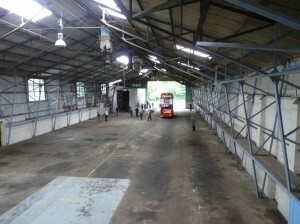 Also started was the process of evolution from a bus preservation society to a proper museum, with the membership opened more widely, but further progress was hampered by the deteriorating state of the building and the impossibility of obtaining planning permission to operate a public museum on the site. Trustees of London Bus Museum and Brooklands Museum sign the agreements for the land acquisition in December 2010. By the early 2000s, it became clear that the Museum would have to take radical action if it were to survive; the roof was leaking and the dampness levels were threatening the well-being of the artefacts. There was no prospect of obtaining planning permission to operate a public museum from the site (nor of finding the money to rebuild at Redhill Road in any event) and this combination of problems threatened the Trust’s status as a Registered Museum and Charity, without which its financial future was very uncertain. 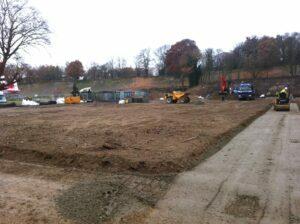 December 2010 and the foundations of the new Museum building are laid. The Museum’s trustees concluded that the only financial solution was to realise the value of the freehold site and use the proceeds to acquire another site where a public museum could be operated. 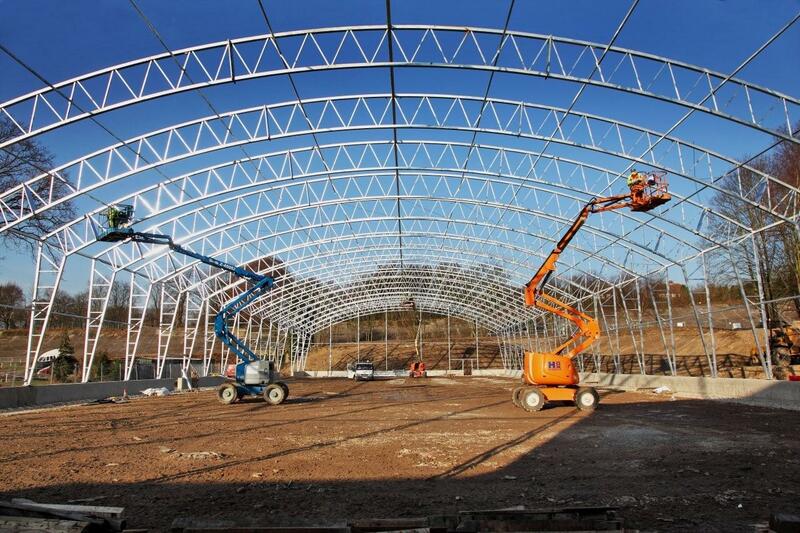 This was easier said than done – land in London and the SE was very expensive and obtaining planning permission to re-develop the existing site was difficult due to the Green Belt rules. Thanks to a close relationship with the nearby Brooklands Museum, a solution to the first part of the problem was identified first; Brooklands proved willing to make available a large plot of vacant land where the Trust could erect a new museum building. This worked well for both parties in that Brooklands gained an additional attraction and the Trust acquired land at a favourable price from where it could finally operate a public museum. A deal with Brooklands was concluded whereby the land would be acquired on a 125-year lease and the visitor entrance and admission revenue would be shared between the two museums. April 2011 and the new building is ready. Redeveloping the Redhill Road site proved much more difficult; a number of planning proposals were rejected by the local authority and it was only in 2009 that a new developer succeeded in obtaining approval for the construction of a residential nursing home on the old site. 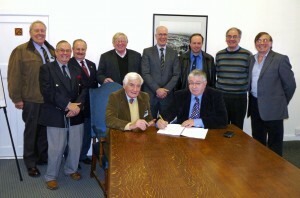 Finally, real progress could be made and a “turnkey” deal was agreed with the developer whereby they constructed a new museum for the Trust at Brooklands and, only after the keys to the new building had been handed over, was the Museum required to vacate the old premises, after a pre-agreed removal period. RT1 is the last bus to leave Redhill Road as the doors are about to close for the final time on 18 May 2011. 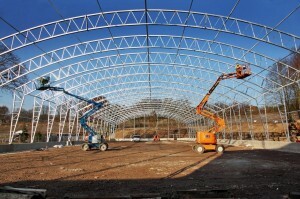 Site clearance for the new building began towards the end of 2010 with construction starting in January 2011. In May that year, the Museum took possession of its spanking new premises and, after a period of fitting out, the newly-named London Bus Museum opened its doors to the public on 1 August 2011. Finally, after many years of frustrations and uncertainty, the Museum has a secure, long-term future and can fulfil its destiny as the custodian of London’s bus heritage with the ability to present this to the public and to continue its restoration and conservation work in a proper, well-equipped environment. 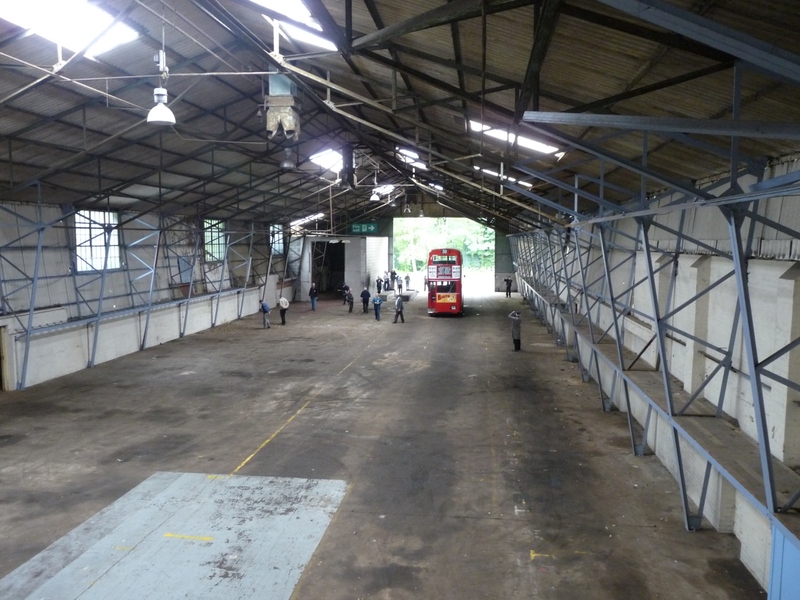 A number of those early pioneers of 40+ years ago have sadly passed away during the intervening years – one of those, the late Prince Marshall, even had a vision back then of a bus museum on the Brooklands site – but today’s magnificent London Bus Museum stands as a tribute to their foresight and efforts without which none of this could have happened. Nearly 40 years of history comes to an end as the last remnants of the old building await their fate. Much of the structure did not need too much encouragement to fall down!